Replaced by the 1017 - PhidgetInterfaceKit 0/0/8. 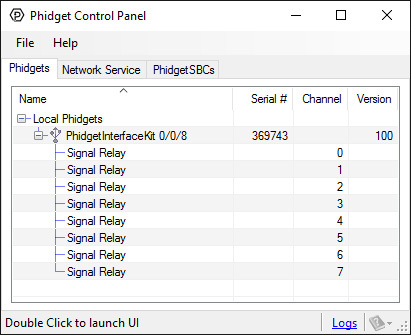 The PhidgetInterfaceKit 0/0/8 provides Small Signal Relays with 8 Relay Outputs, rated at 250VAC, or 2 Amps, for a maximum of 65 Watts. 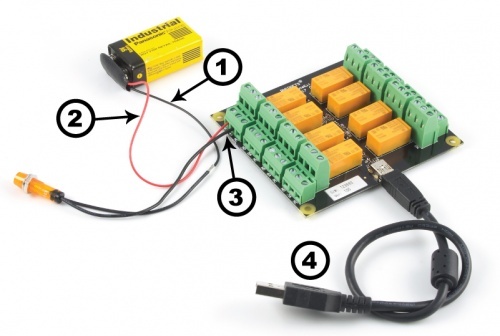 It is typically used for switching small signals, as opposed to high current applications. For high current applications see the 1014 - PhidgetInterfaceKit 0/0/4. 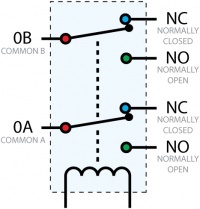 Note: When a relay is in one switch position for a period of time, oxidation of the open contact(s) can occur. Depending upon the internal coating material of the contacts, oxide films of varying density will be displaced upon the surface of open contacts; this film acts as an insulator to current flow. When the relay is switched, a certain amount of current flowing through the contacts, known as the wetting current, is required to remove the film of oxides and ensure proper conduction. 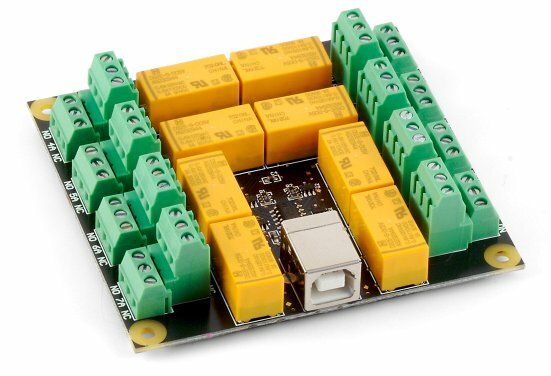 The wetting current required to operate this relay is low enough for use in signal switching applications.